Responding to Pope Francis’ call for Catholics around the world to fast and pray for peace in Syria and the Middle East, Archbishop Charles Chaput invites Catholics and everyone in the Archdiocese of Philadelphia to participate this Saturday, Sept. 7, the feast of the Nativity of the Blessed Virgin Mary. The Cathedral Basilica of SS. Peter and Paul in Philadelphia will be open from 7 to 10 p.m. Saturday night for exposition of the Blessed Sacrament. Communal prayers for peace will be offered every hour. People participating in the fast on that day may refrain from eating meals, eating only simple meals or taking no food between meals. 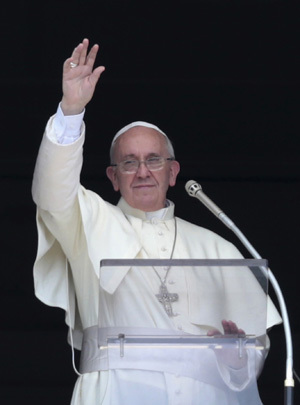 In his Angelus message Sept. 1, Pope Francis urged Catholics and all people to pursue peace and to participate in the day of fasting and prayer. He is expected to lead penitential prayers in St. Peter’s Square on Sept. 7, asking God for the gift of peace in Syria and all places of conflict. The pope asked all local churches to participate in a similar way. The Unites States Conference of Catholic Bishops also asked all Catholic bishops in the United States to encourage people in their dioceses to participate in the fast and prayers for peace.